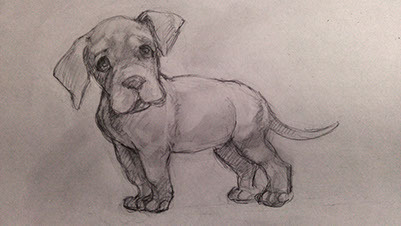 It all start with a idea, we ask ourself WHAT is so adorable about a great dane puppy, then we start sketching and working on ideas, soon the sketches take form. 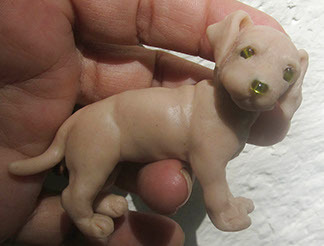 Finally the clay puppy is starting to look like a real dog, after some reviews and maybe some edits it is finished and fired to become solid. 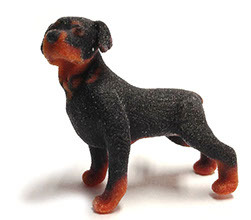 The little dog scuplture is then scanned and prepared on the computer for casting. on the computer we adjust the details to compensate for the casting process. 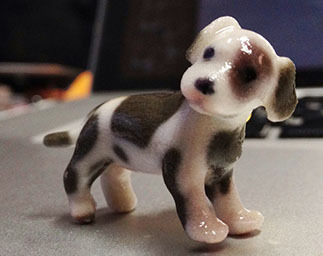 Above you can see a test print from the 3D printer, it is already adorable. 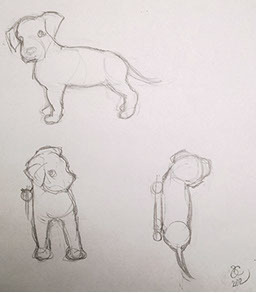 Lastly one of the artist will paint the puppy in the right colors and shades of the partiular breed. 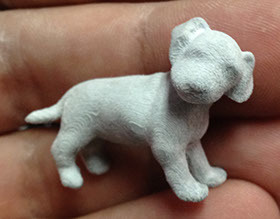 To the right you can see a puppy pin in full color, ready to be detailed and then coated in gloss. The finished miniature jewelry sculpture is carefully polished for rough edges, coated in a beautiful "deep gloss" glaze and have the gold plated broch pins installed on the backside. 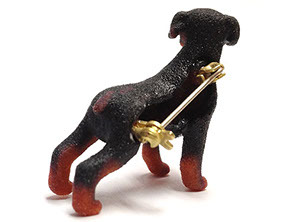 Each finished adorable puppy jewelry pin is truely a miniature work of art, and the last step before shipping is one of our in-house artists carefully reviewing each pin to make sure the quality is to standard. 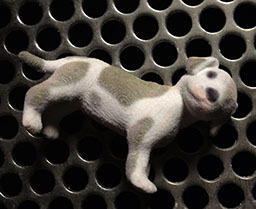 CUSTOM puppy pins is by far the most amazing product we make, based on YOUR personal photographs of your dog, one of our amazing artists will paint the color scheme of your dog on one of our beautiful miniatures, the pin will beautifully represent your dog.